The moleskin covers are great, would love to have one of those in my bag! 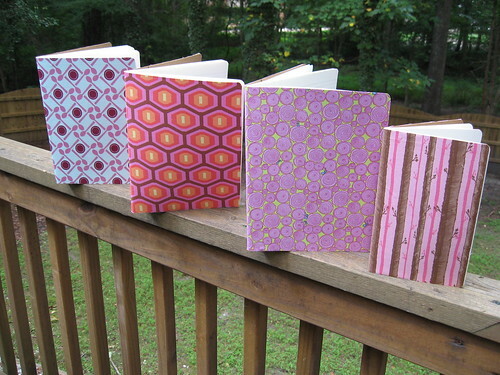 Love the moleskine covers! I have a moleskine that is going to get a nice new cover asap! Thanks for the link to the moleskine tutorial John. I'm sure your crew will enjoy their gifts. Off to purchase me some Moleskines! Now that's how to cover a moleskin - way way too easy!! Thanks John for the great link. I love these! What is the fabric that is pink and brown trees? I don't think I have seen that one before. 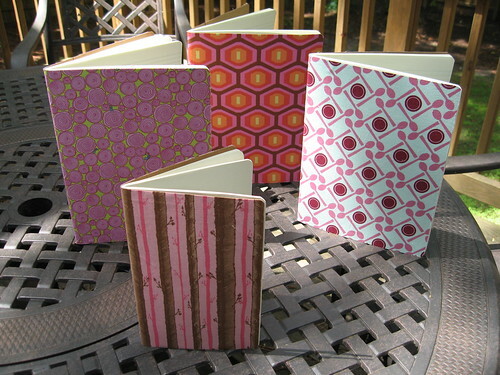 It is great as are your Moleskines. 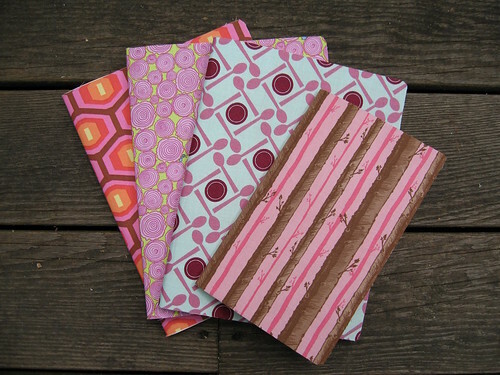 My daughter loves Moleskines....guess I know what I am making for her stocking this year! :) Thanks for the great idea. 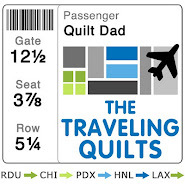 Those are nice...Its a great way to say "Thanks" too...We'll have change your name to "a pimp named quilt dad" or "O.G. Le Quilter"
A lovely and very thoughtful gift!! those covered moleskins are cool. I looked at moleskins last week and couldn't figure out what you need with half a page of graph paper...can someone fill me in? Those look fantastic! The ones you made in the last giveaway go everywhere with me and are getting lots of use! The bookkeeper you made really protects the Moleskin from getting crumpled in my purse. I know your office will LOVE these! These are really wonderful. I know I have to make some of these for me (and every writer I know). Thanks for the idea and link! They are beautiful! A manager that shows his appreciation. Weird- it has been a long time since I have come across the likes of you. Good for you for taking the time to say thank you in such a nice way. Great tutorial - perfect with school starting around the corner too! Thanks for sharing - I love your "pimped" out versions! These are wonderful! What a great gift! 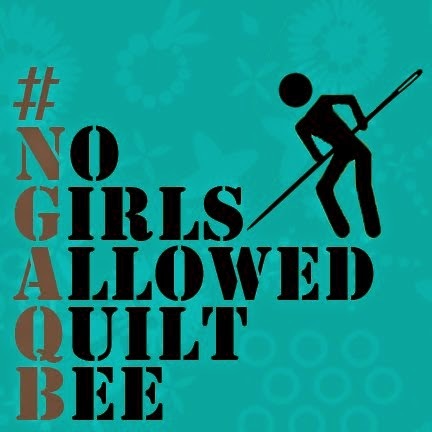 Just poping in to say hello!You have a really nice quilting blog. I quilt too of course.I alway think it's so neat when I run across a man that quilts.My grandfather used to years ago when he was still with us.One of my favorite designers is a man also.I've even been known to get my husband involved a time or two.I'll be back to visit.Keep up the good work!